The Jaguar XE, regardless of whether it’s new or pre-owned, offers a high-end luxury sedan experience to Hoboken drivers. From the Jaguar XE performance to interior amenities, there are a lot of exciting features. Browse our pre-owned Jaguar XE inventory online before visiting us near Weehawken to explore the likes of Intelligent Driveline Dynamics, electric power-assisted steering, and much more at Jaguar Englewood! We appreciate your interest in our inventory, and apologize we do not have model details displaying on the website at this time. Please fill the form out below and our team will quickly respond, or, please call us at (201) 862-7755 for more information. Why Buy a Used XE at Jaguar Englewood? If you’d like to offset the cost of your next vehicle, be sure to value your trade prior to buying your new vehicle! No matter what kind of used Jaguar you’re looking for, our staff can help you find the right option. Ready to explore our used Jaguar XE inventory in person? 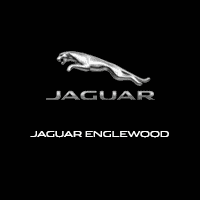 Visit Jaguar Englewood today to find the right pre-owned Jaguar for your lifestyle! We look forward to helping you find the right car for your preferences and budget.